Martyn, like Jonny Mansell, is local to Okehampton. 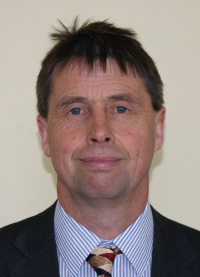 His local knowledge and expertise lend themselves to valuing and selling residential property where he is equally comfortable in the rural marketplace handling period cottages or properties with land and the townhouses and apartments within Okehampton and surrounding towns such as North Tawton, or Hatherleigh. Just as much at home on the golf course or at the Rugby Club, Martyn takes great pride in providing a highly professional and personalised approach to property sales.